Crazy Shenanigans: My Utopia is Treetopia. I am probably one of the biggest lovers of Christmas. I can't get enough of the holiday. Every year I plan out my decorations, when I'll get my Christmas cards ready, map out where all of my Christmas trees will go and wait patiently till the time comes to start decorating. This year I was lucky enough to add a new tree to my household. Have you ever heard of Treetopia ? 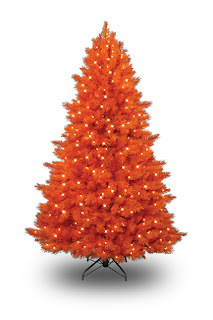 I hadn't until about a year ago when I was surfing the web trying to find a unique Christmas tree. I was looking for something that would infuse the classic Christmas tree but bring something fun and unique to it... then I stumbled onto Treetopia. I got so excited! 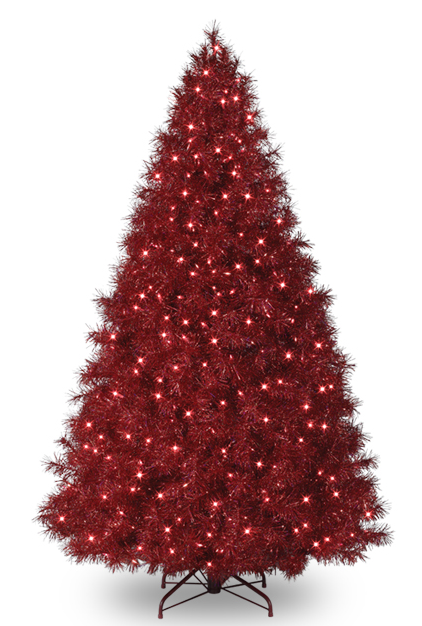 I've added the Candy Apple Red Tinsel Tree to my collection and I love it! It's a pre-lit pink bulb, 4 foot tinsel tree and it's fabulous! It even has one of those foot pedals attached so you can easily turn it off and on. It literally took me less than 5 minutes to get it set up! It's branches were full, flexible and quality made. It even came with a storage bag for the off season. I could even see using this tree at Valentines Day because of the great red coloring! They've got every tree you could ever think of and even ones you never dreamed could exist! Another great thing about their trees... they are pre-lit ! See what I'm talking about?!? 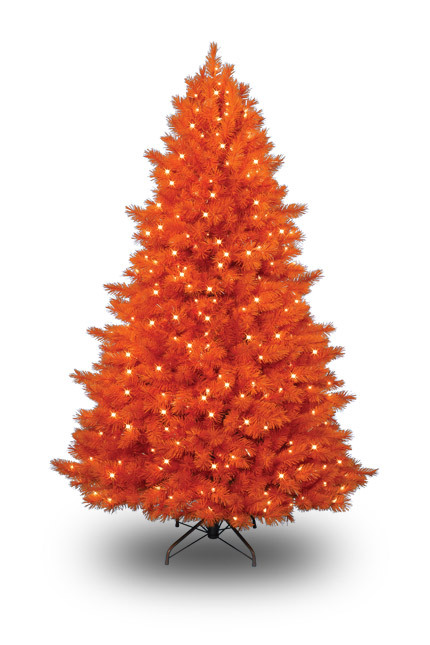 Want an orange tree? They've got it! 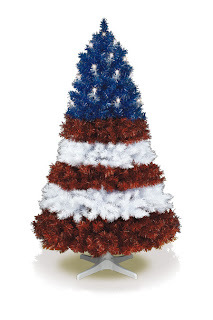 Want a patriotic tree? They've got it! Celebrate Hanukah? Well they've got a tree for you too! So now that I've told you all about Treetopia , I'm sure you are wishing you had one right now for the Christmas season. Well guess what?! You can win one! 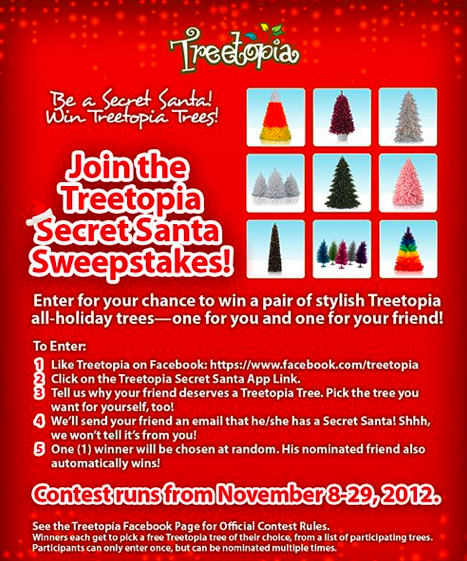 Treetopia is having a Facebook contest called Treetopia Secret Santa Sweepstakes and one winner can win not just one but two trees! One for yourself and one for a friend. To enter all you need to do is be a Treetopia Facebook page fan, then provide your name, e-mail address and the name and e-mail address of your friend. You also get to choose from a list of which trees you'd like to win. Winners will be drawn randomly. The contest is going on now and ends on November 29, 2012. *Disclosure: I was given the Candy Apple Red Tinsel Tree free for product review. However, all opinions are my own. This is the pefrect partnership/ review for you to do! How many trees do you have? I still hope you can get that upside down tree someday. Is your tree really as full as it looks? I've had the same tree for quite a few years now but it's kind of thin. I'd love something with a little more body to it. oooooh i should probably check out their website too! I love that candy apple one that you chose. Love it! 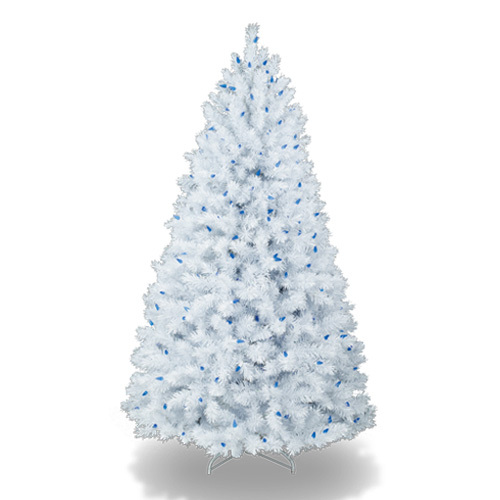 I am def getting a real tree but would LOVE one of these Treetopia trees--I just entered the sweepstakes. I hope I win!